SSRA is delighted to announce that the Indoor 10 Metre Airgun Range is now open for shooting again, having recently undergone some redevelopment work. The structure has been extended to allow for the incorporation of a shooters preparation area within the range. The improvements to the indoor range will undoubtedly make the shooting experience more pleasurable for all concerned. 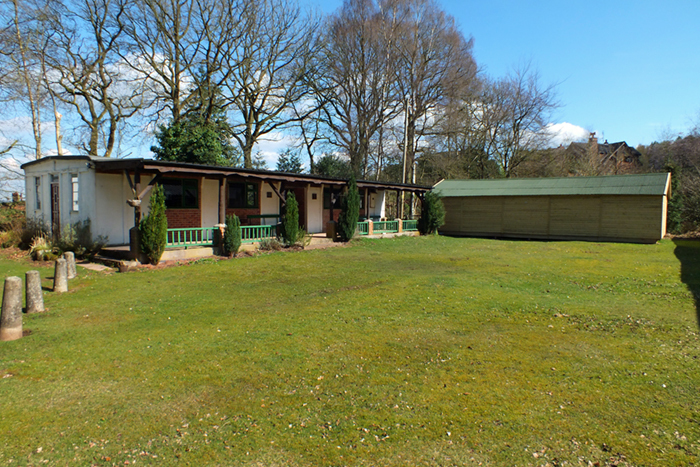 The above photograph shows the Airgun range situated to the right of the clubhouse. The Airgun range will be undergoing some redevelopment work over the coming weeks. Notably, the structure will be extended to allow for the incorporation of a shooters preparation area within the range. It is understood that the groundwork for the extension will commence this week (Week Commencing 7th November 2016) with the extension being erected from the 15th November 2016. Therefore, the firing points within the Airgun range will be dismantled on Sunday 13th November 2016 to allow the work to be carried out, and will then be reassembled as soon as possible afterwards. It is anticipated that the Airgun range will be closed for about 2 weeks. SSRA would like to apologise in advance for any inconvenience caused by this necessary work. The text shown below is a transcription taken from page 49 of the NSRA's magazine 'On Target' - in which was published the obituary for former Staffordshire Smallbore Rifle Association Vice-President - Mr Fred Jennings (pictured above) whom sadly passed away on Sunday 18th October 2015. 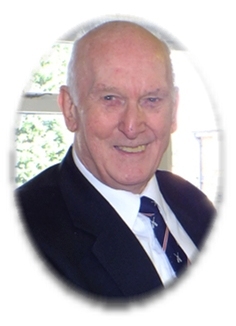 'The City of Birmingham Rifle Club is sad to report the death of another of their members, Fred Jennings, who died suddenly on 18 October, 2015 at the age of 74. He started his career in the Merchant Navy but on marrying his wife, Mary, joined the West Midlands police force in their firearms department and on his retirement from the police worked at the Birmingham courts. Fred was at one time rifle captain and up to the time of his death chairman of the City of Birmingham Rifle Club and was a member of their record scoring National League 'A' Team. He was also a Dewar and English International team member. He was at one time the Warwickshire representative on the NSRA Council and was elected to the NSRA board of management in 1986 and served on its rifle, airgun and match crossbow committees. Fred was elected a member of the Centipede Club in 1983 and was chief range officer at the 2002 Commonwealth Games. In 2010 Fred was awarded the NSRA Gold Award for his Special Services to shooting. The medal and certificate were presented by the Staffordshire President, Major (retired) Peter Martin MBE at their 2011 Annual General Meeting held at the Rugeley Rifle Club where he was also a member. Fred will be remembered for his thoroughness in everything that he undertook; he would spend hours researching a subject so that come the discussion he would be fully conversant with the subject. Please select the following link to view Fred Jennings' obituary, in PDF format, as it appears in the NSRA magazine 'On Target'. 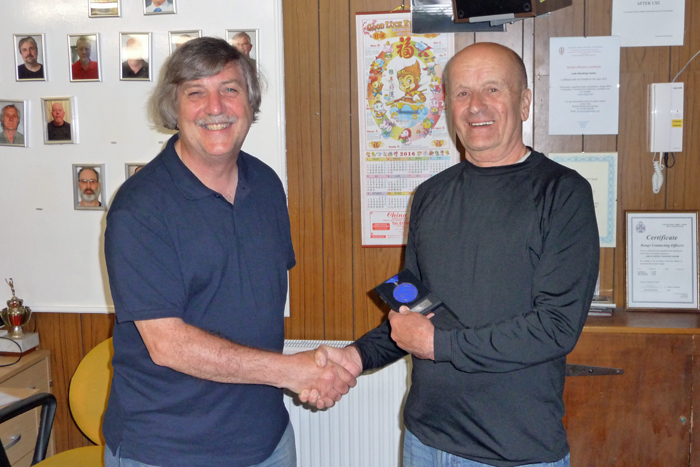 SSRA Individual Air Pistol 'B' League - Winter 2015/2016 - Winner's Medal. 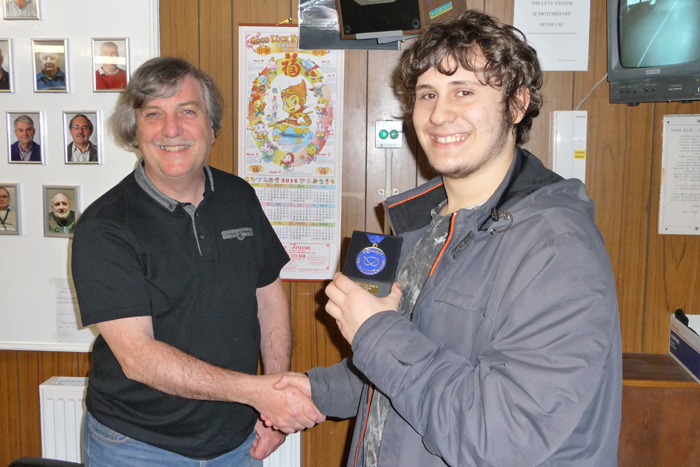 SSRA Individual Air Rifle 'B' League - Winter 2015/2016 - Second Place Medal. To view a selection of the stories and updates from throughout 2014, please visit the News Archive for 2014.